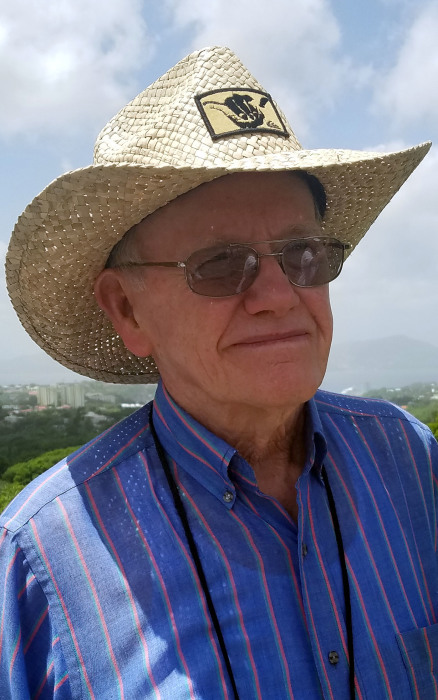 Burlington – James Byron Thomas, Sr., 82, passed away on Monday, April 1, 2019 at the Hospice Home surrounded by his family. He was born in Randolph County to the late William Lorenzo Thomas and Zelma Loy Thomas, and was married to the late Faye Jean Lowe Thomas who died in 1980 and the late Sandra Kay Durham Thomas who died in 2015. James was a retired painter; he was the co-owner and operator of Thomas Paint and Paper. He was a member of St. Paul’s Lutheran Church where he served in many capacities and member of the Alamance Region Car Club. James enjoyed spending time with his grandchildren, traveling and going to car shows. James is survived by his sons, James Byron Thomas, Jr. and Jeffrey Dwayne Thomas and wife, Sheila; grandchildren, Chad Isaac, Faith Thomas and Vann Thomas; a brother, John Thomas; a sister, Jeanette Thomas, and his special friend and caregiver, Polly Hawkins. He was preceded in death by his two wives, parents, and a brother, Willard Thomas. The funeral service will be held at 2:00PM Thursday at St. Paul’s Lutheran Church by Rev. Nathan Hook with the burial to follow in Pine Hill Cemetery. The family will receive friends from 12:00PM to 1:45PM at the church prior to the service. Memorials may be made to St. Paul’s Lutheran Church, 2719 Bellemont-Alamance Road, Burlington, NC 27215.